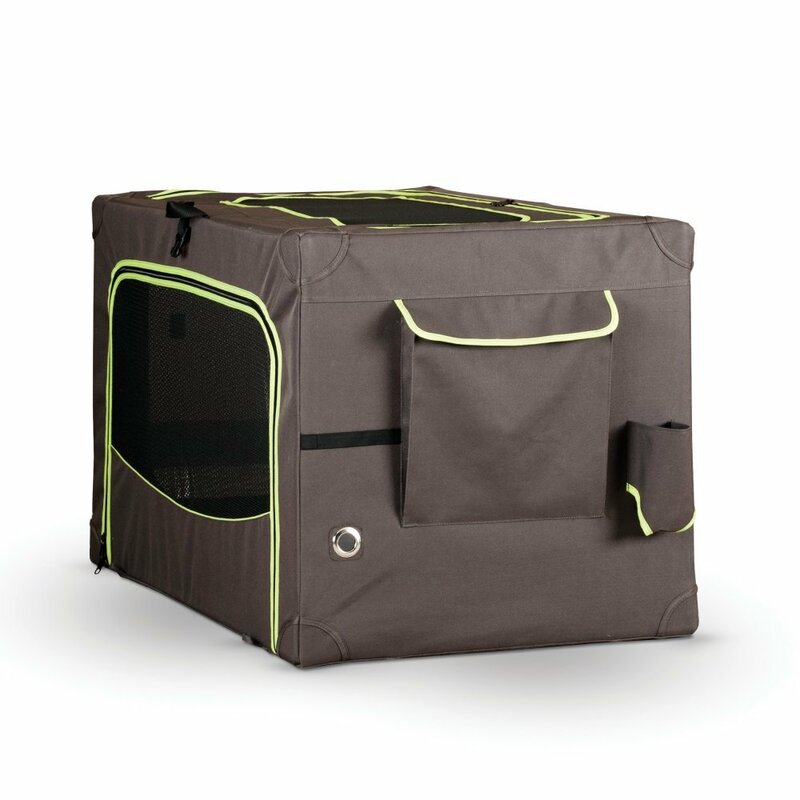 Select Soft Crate Size: Small KH-1460 24 x 18 x 17"Medium KH-1461 30 x 20 x 19"Large KH-1462 36 x 24 x 23"Extra-Large KH-1463 42 x 28 x 27"
Perfect for home use or travel, the Classy Go™ Soft Dog Crate offers good looks, quick assembly and style. 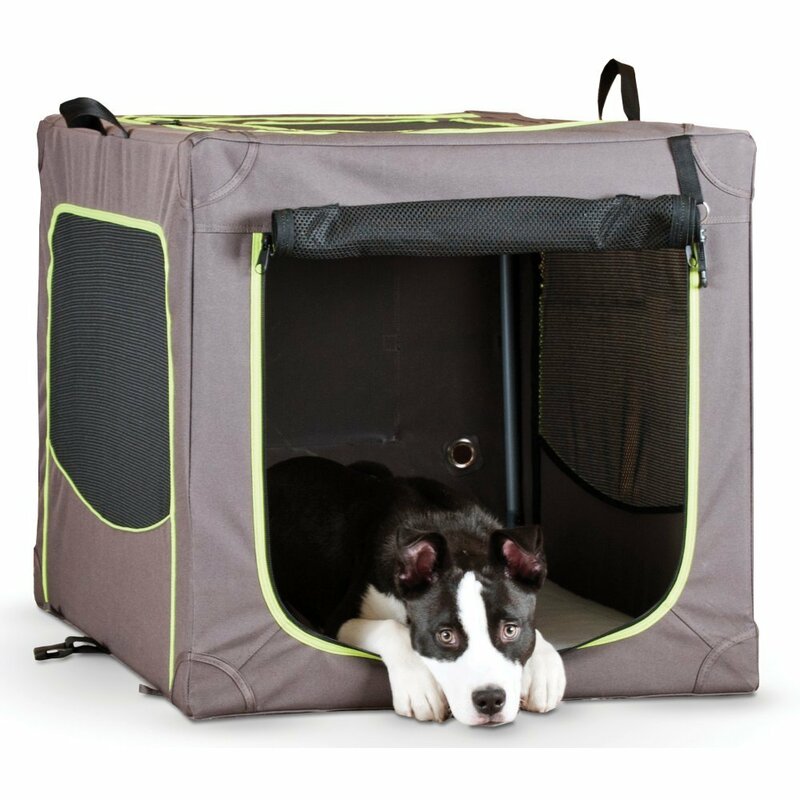 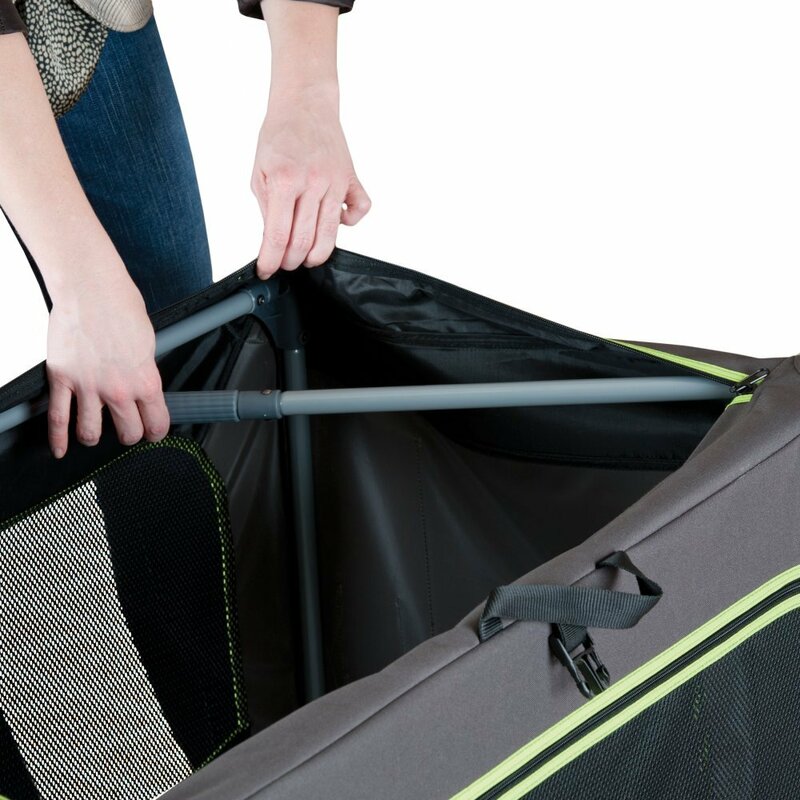 The patented soft crate design is strong, sturdy, attractive and versatile. 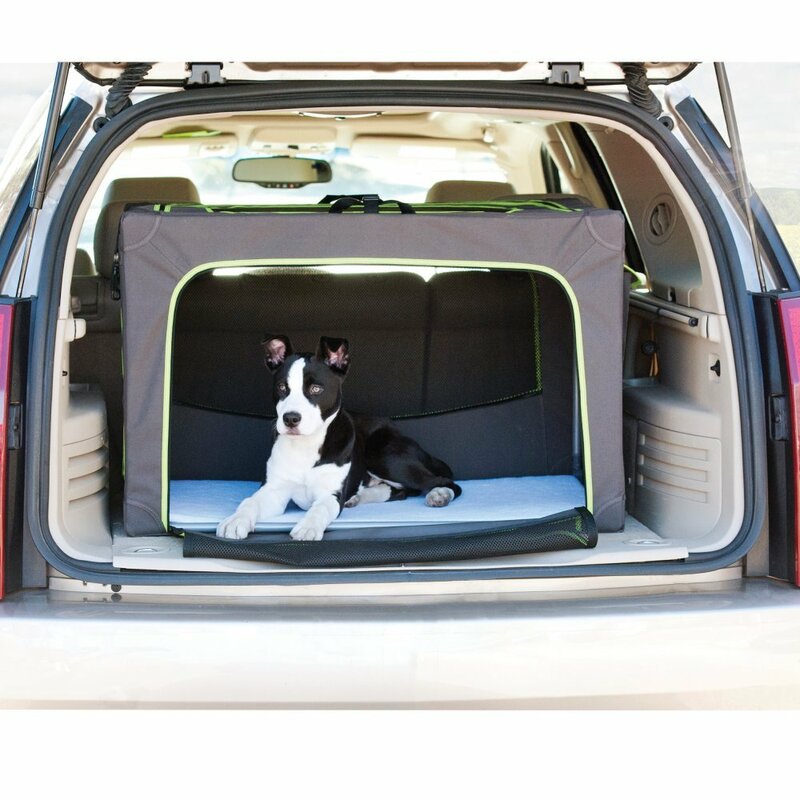 A zipper pull lock is included to prevent a pet from opening the doors. 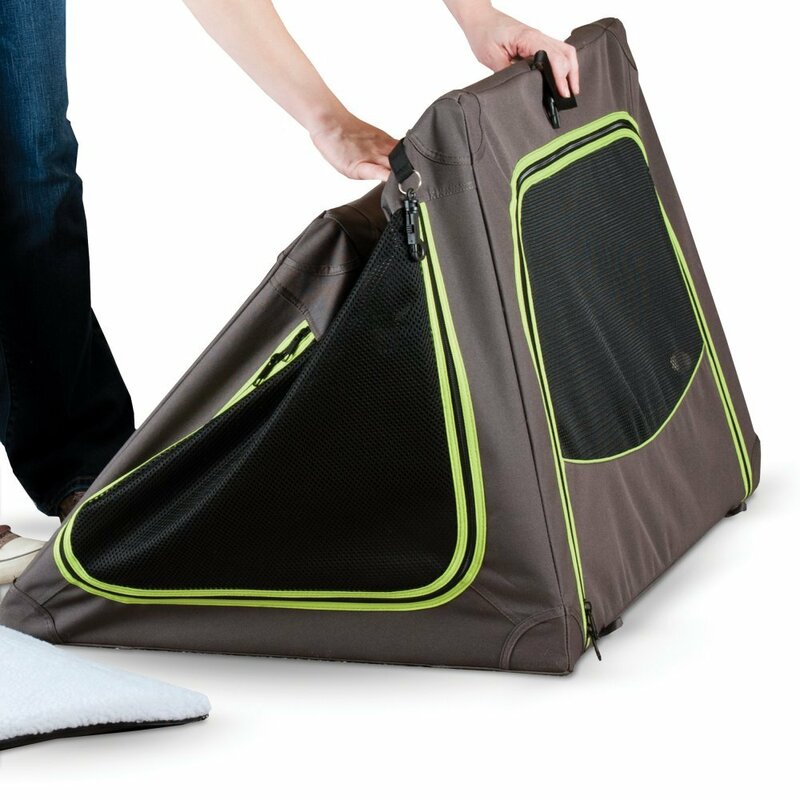 You will appreciate the matching storage bag making this crate easy to carry or to store when the crate is not in use. 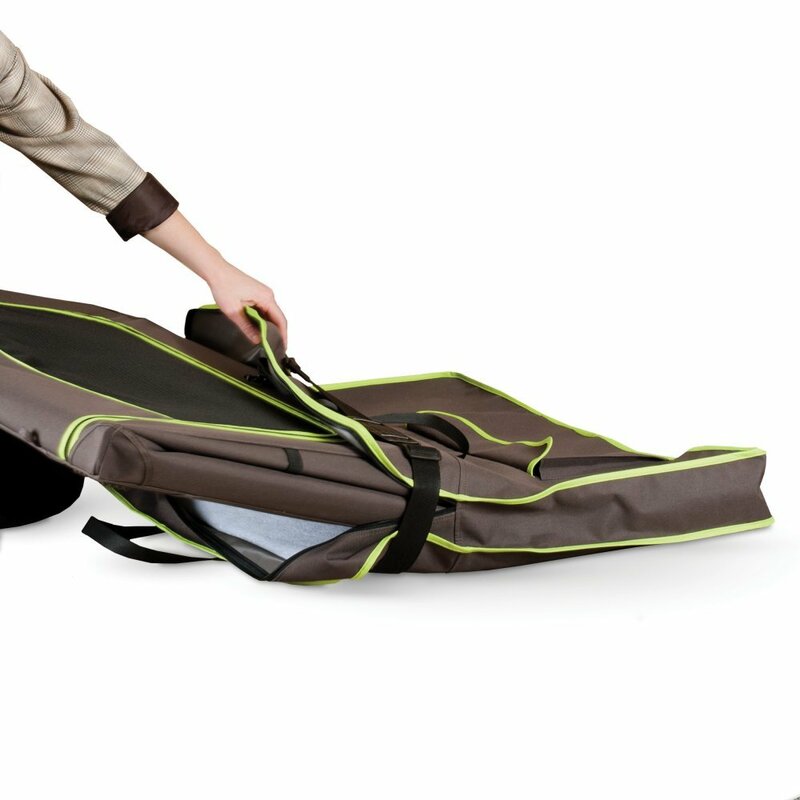 Small: 24 x 18 x 17"
No international shipments at this time.